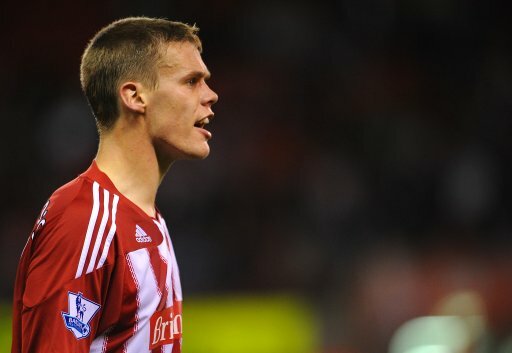 Stoke City manager Tony Pulis has warned the likes of Manchester United, Liverpool and Juventus that his direct superiors have no intention of allowing centre-back Ryan Shawcross to leave the club in January. United recently deployed chief scout Jim Lawlor to check on Shawcross’ development, who apparently returned to Old Trafford with positive reviews after sitting in the stands during the Potters 2-2 draw with Wigan at the weekend. Liverpool have also found themselves linked with a £17 million move for the 23-year-old defender, whilst Juventus were thought to be ready to trump any potential offer from Anfield-way with a £20-million player-plus-cash deal come the turn of the year. “We are under no pressure to sell and Ryan is somebody the chairman will not contemplate leaving. Ryan could not be happier here and we’ve also got him on a very good long-term contract. “He’s a good player, so there is always going to be interest in good players. But Ryan is our player and that is how we intend to keep it. I wonder if Arsenal are interested?